Hot off the (virtual) presses! Here’s a single page website we built for Southwest Dealer Services, designed to go along with a radio advertising campaign put together by our referral partner Scott Dickinson at Mid-West Family Broadcasting. 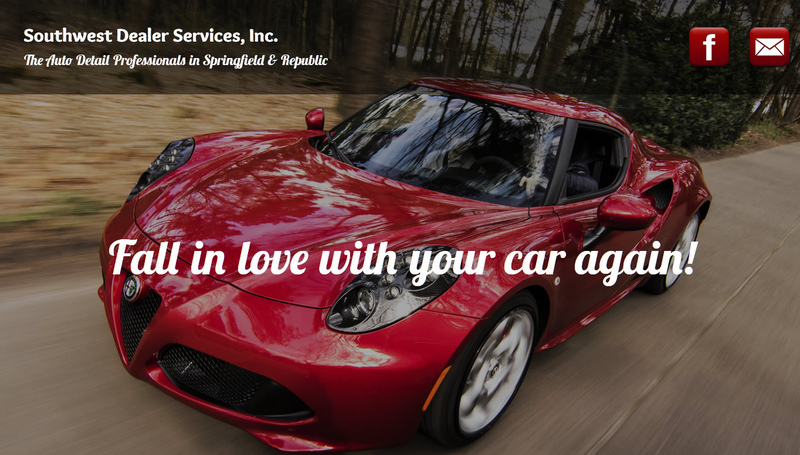 As with many (seemingly most) of the sites we build, we had very little to start the design with; in this case, just the slogan “Fall in love with your car again!” Everything else had to be created from scratch.